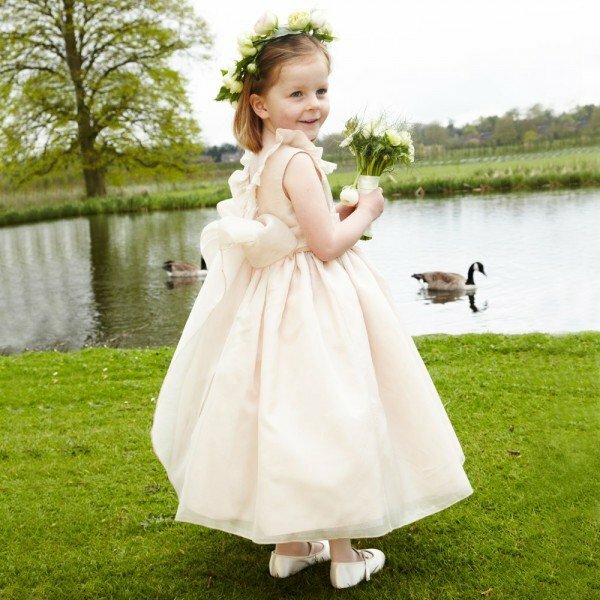 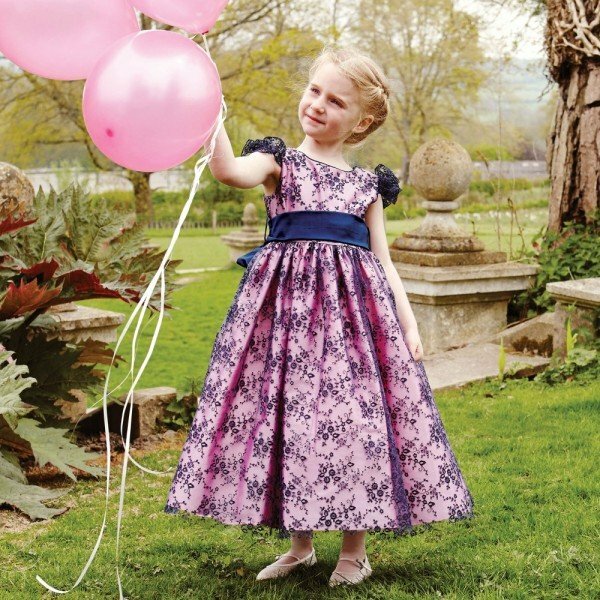 Love this royal girls beautiful taffeta silk dress by Nicki Macfarlane, fit for a princess. 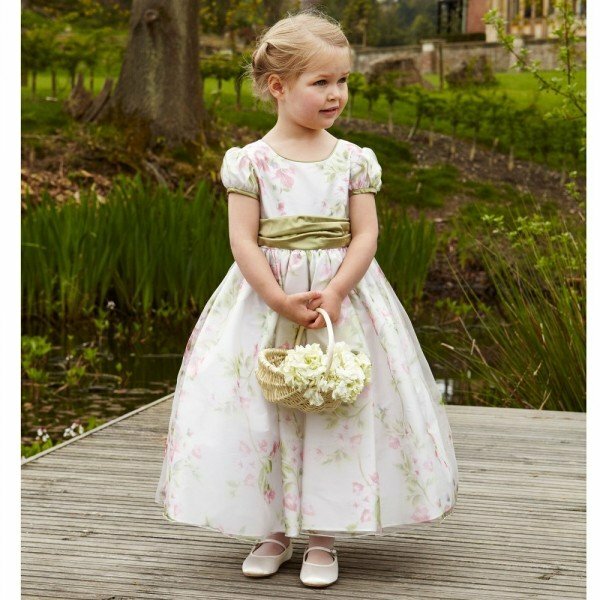 She’ll look stunning wearing this delicate pale pink designed silk dress featuring a peter pan collar embellished with diamanté jewels and a self-tie ribbon sash. 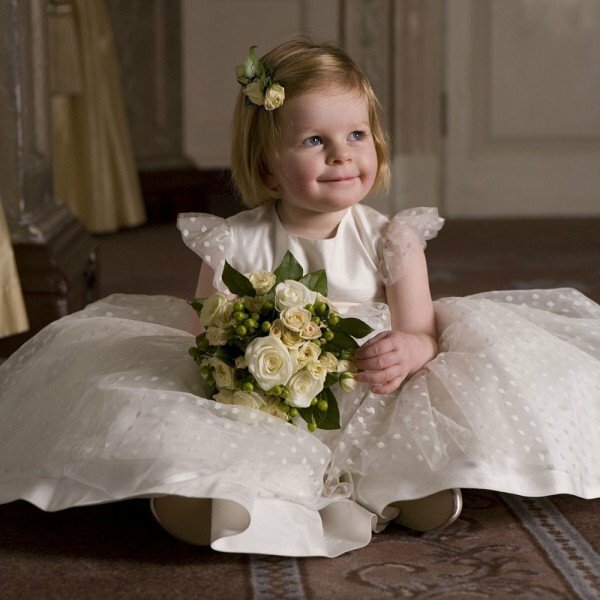 Designed by Nicki Macfarlane, creator of the elegant dresses worn by the bridesmaids at the Royal Wedding of HRH The Duke and Duchess of Cambridge.